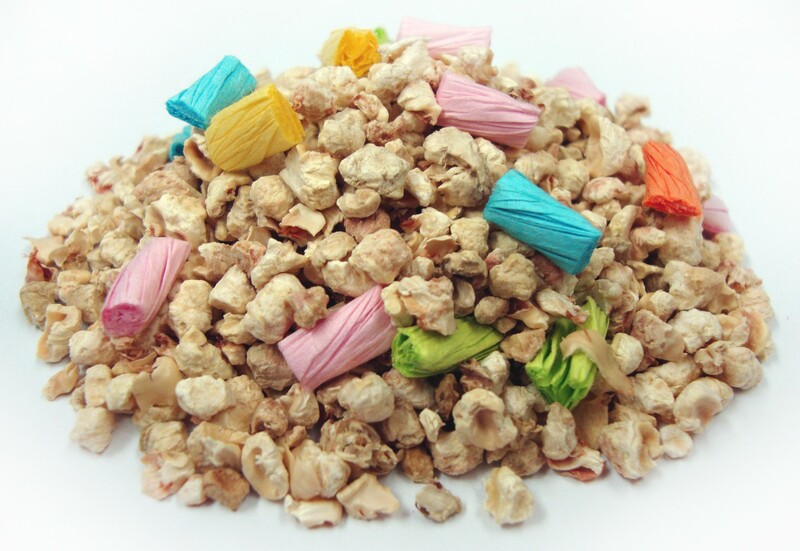 Corn Cob is the #1 Choice for Bird Cage Litter! Corn cob bedding is ideal for bird cages because it’s heavier and stays in the cage pan during active times. When soiled, the clumps can be easily removed. Uneaten foods can be sifted out. Corn cob is simply longer lasting, more economical bedding. How it Works for Birds: The dual absorption from both the corn cob and the colorful paper twirls will help keep your pet’s cage dry and comfortable. The colorful paper twirls also act as a toy to shred, creating hours of fun and exercise to relieve cage boredom. The shredded paper can also be used as a nesting material. 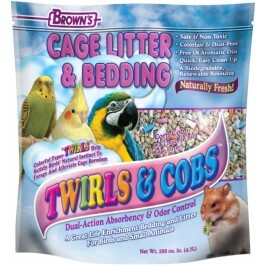 How it Works for Small Animals: Twirls & Cobs has twice the absorbency power compared to other cage litter & bedding. The dual action of the highly absorbent corn cob and paper twirls act to quickly soak up moisture. 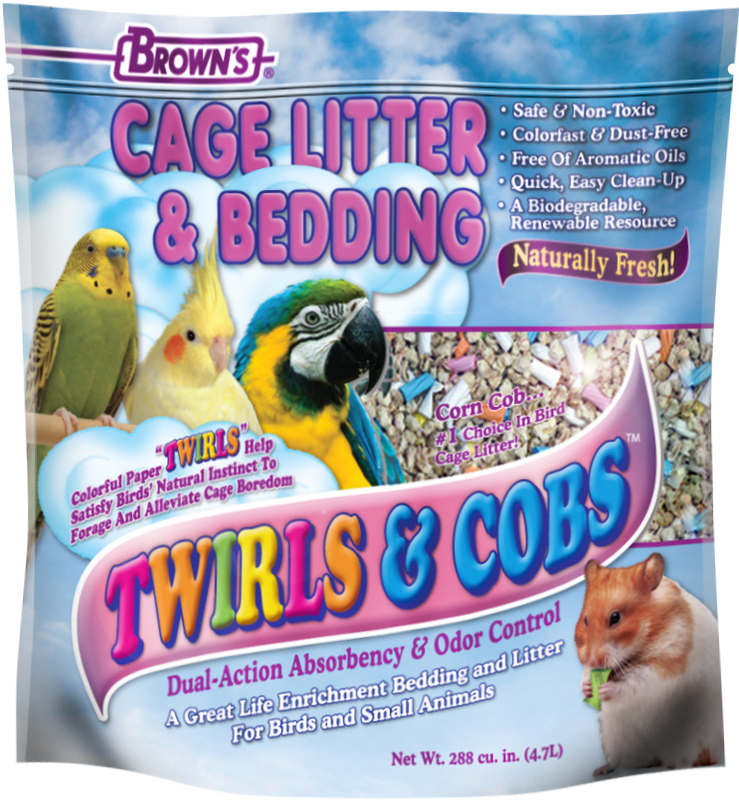 The twirls also provide material small animals such as mice, rats, hamsters and gerbils will shred and unravel to make a comfy & cozy nest. Soft nests provide the small animals with a sense of security when they sleep or just need a place to get away from it all. Shredding the twirls creates sense of daily life enrichment for your pet through behavioral stimulation providing exercise and fun. Ground Corn Cob, Colorful Paper.